Born and raised in New England, Correale has a great love for the scenic flavor of the Northeast. When he chooses a particular theme and transposes it to his painting, he attempts to give the viewer something of the same emotional impact he has felt as the artist. At the heart of Correale's painting is a depth of perception into themes we can all relate to and understand. He reaches beyond the chaos of contemporary life and brings to his work those quiet interludes we so often overlook ... waves lapping against the dock ... sunlight washing over a weathered barn ... cast shadows on freshly fallen snow .. the city at twilight ... and typical Americana ... all moments frozen in time which may never again appear exactly that way. Correale is well-known as a graphic designer throughout New York and Connecticut and exhibited in Manhattan galleries for 15 years. 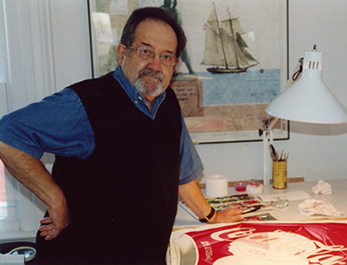 During the 1980's Gallery Felicie represented Correale, exclusively, for his limited edition prints and original watercolors, and promoted and sold his art work in the United States and Europe. His art has appeared on the covers of publications ranging from telephone directories to national magazines. Joe Correale studied at the Paier College of Art (formerly the Whitney Art School) and the Yale School of Fine Art. 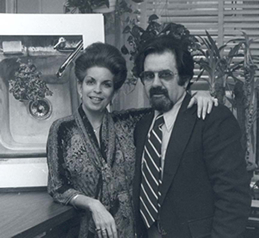 He has been published in several periodicals including Woman's Day, Saturday Evening Post, and Yankee magazines. He has been the reciipient of numerous awards from his association with such prestigious institutions as the American Watercolor Society and the American Artists of Renown, among others. Throughout his illustrious career, Correale has exhibited an amazing technical proficiency, a surprisingly wide range of subject material, and more recently, a subtle sense of surrealism in some of his work.